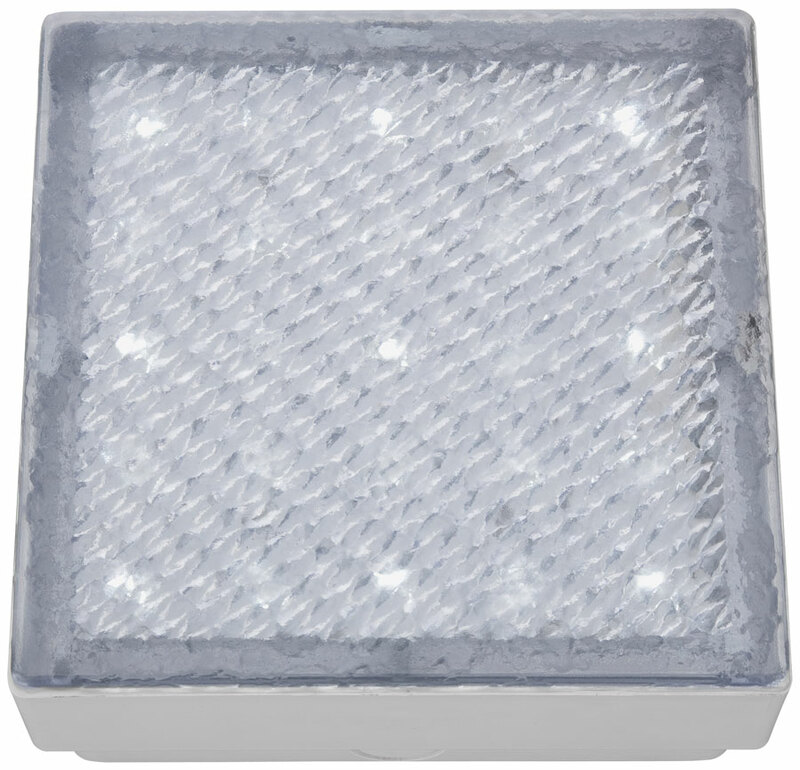 This small pure white LED IP68 recessed square walkover light is perfect for lighting exterior footpaths and decking. The small square patterned polycrabonate shade is illuminated using the latest energy saving integrated LED technology. The rippled pattern diffuses light beautifully from right under your feet, it’s IP68 rated, completely watertight, ideal for outdoors and can be used in wet areas such as your bathroom or kitchen.